Home HAUL MAC VIDEO MAC Colour Ready Haul and Look! 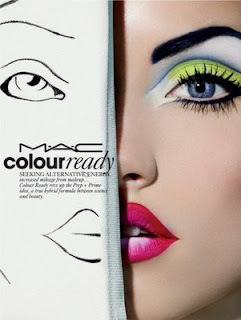 I posted a video on my MAC Colour Ready haul that I picked up on Thursday. I'm sure some of you have seen the promo image. I loved the skill and creativity in this look and decided to recreate it to show you in my video. Check out my video to see the look and my thoughts on the products! 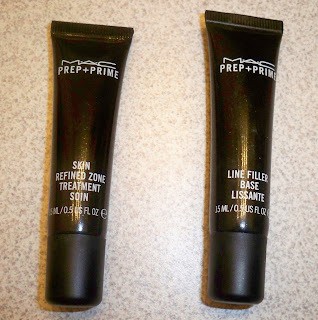 Here are the newest additions to Prep & Prime: Line Filler and Skin Refined Zone. Same packaging, different label. They're actually a lot smaller than I thought. The Line Filler really does work! I hope the Refined Zone does as well, but i'm going to have to give it some time. Next we have the Prep & Prime translucent powder. At first I was concerned that it was like the Pro Invisible set but they are definitely different. Prep & Prime creates more of a soft blurried look on the skin...almost airbrushed. 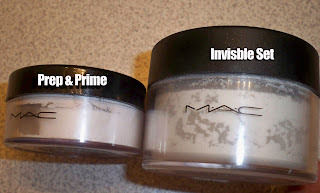 Invisble Set is more of a setting powder that mattifies the skin...works on all skin tones. I have a feeling Prep & Prime may look cakey on dark skin tones, but on me I love it. 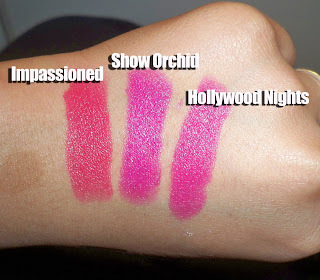 I picked up both lippies Impassioned and Show Orchid. Love the bright colors. I purchased Cherry Lipliner to go with them and it's an awesome combo. If you have Hollywood Nights from the Heatherette collection, you can skip on Show Orchid because they're really similar. My recreated look and blank expression, he he. love the haul! 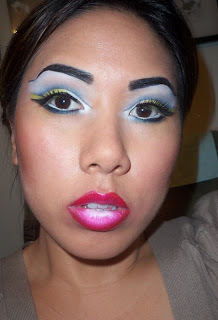 i dont think i'm brave enough to wear those bright colors though..i'm such a wimp lol...your re creation looks GREAT! the look is freaking breathtaking. you are too good! You are workin it! Good job! ooooo nice. you recreated that look fa'sho! that line filler is a tempting gift to give my mom, ahaha. hope she doesn't take it the wrong way! I just have a few words for you LOVE YOUR MAKE UP SKILLS!!! woooow it looks exactlyyy the same babe! good job! great job on recreating the look. down to the detail! you go ren. about the line filler, i love it! it works awesome. i actually use it for my pores on my nose as well. it really does cover those babies. it did a great job covering some fine lines under my eyes as well. this look is a winnder! I love this! i have the powder.. still testing! great to hear your reviews! I missed out on Hollywood Nights and regretted it. Thanks for the tip. I'll get Show Orchid now. Oh and I love the look sis! You look great as always! It is fiierce!!! You did a great job at recreating it!